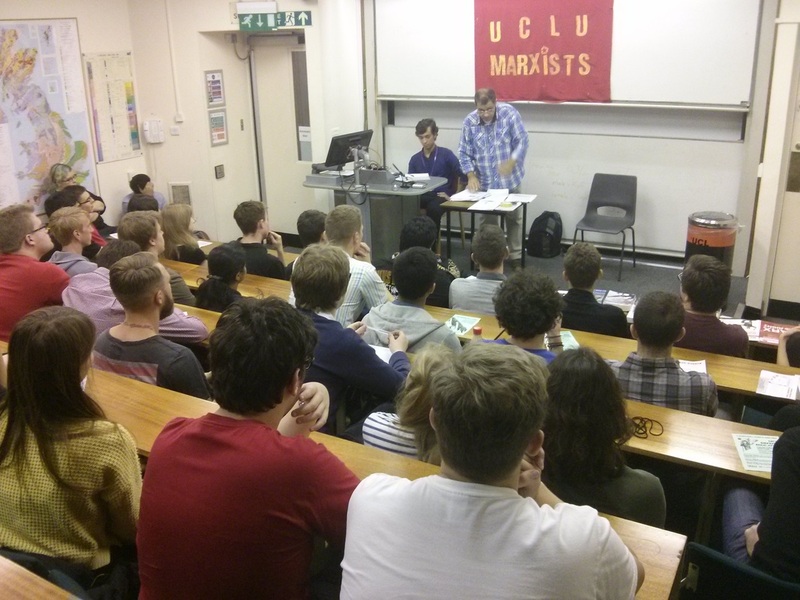 Over 70 attended the Freshers week meeting of the UCLU Marxists, where Fred Weston of the marxist.com editorial board, spoke on the topic "What is Capitalism? What is Socialism?" The lead-off was very well received, after which questions and contributions were made on such issues as; where will innovation come from and will socialism mean human laziness; the question of revolutionary violence; consumerism; the International Marxist Tendency (of which Fred Weston is a leading member); and much else besides. The Marxist Student Federation, of which UCLU Marxists are affiliated, was announced along with its programme for the NUS (National Union of Students), and all students were encouraged to get involved.